To date, transnational environmental crime has been poorly attended to by the transnational organised crime and transnational policing discourse. 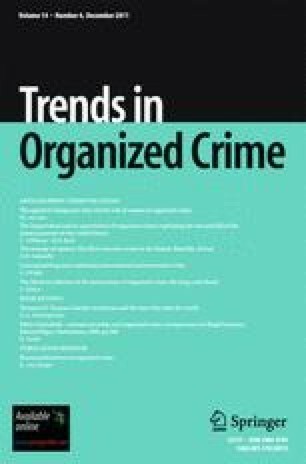 Academics have focused on individual elements of environmental crime, neglecting a broader theoretical discussion, while national and international institutions have prioritised other forms of organised crime, giving little thought to the nuanced nature of transnational environmental crime and how this should be reflected in policing and countermeasures. This paper attempts to rectify this by conceptualising transnational environmental crime and suggesting ways forward for countermeasure development. The paper will begin by looking at the problem of environmental crime, its value, scope and effects, concluding that the damaging nature of transnational environmental crime demands a greater focus on its policing. The nature of transnational environmental crime will then be discussed by reference to traditional forms of organised crime. It will be argued that, while transnational environmental crime is a form of organised crime, and has some features in common with the traditional organised crimes, such as drug smuggling and people trafficking, it is the substantial differences that should guide the approach to developing countermeasures. The development of effective countermeasures, it is concluded, requires a significant change in policy at every level. ASEAN Wildlife Enforcement Network, About Us.Available viaASEAN website.http://www.asean-wen.org/index.php?option=com_content&view=article&id=47&Itemid=55.Cited 7 March 2011. Four Corners (2002) The Timber Mafia. ABC TV.Transcript available online.http://www.abc.net.au/4corners/content/2002/timber_mafia/webextras/transcript.htm.Cited 01 November 2010. Snowdon K (2009) UN report warns Afghanistan must control drugs trade.ABC Radio. Transcript available at http://www.radioaustralia.net.au/asiapac/stories/200909/s2677265.htm. Cited 7 March 2011. UN Office on Drugs and Crime. Human trafficking: the facts. http://www.unodc.org/documents/blueheart/Fact_sheet_english.pdf. Cited 4 November 2010.